IBC covers fifteen halls across the RAI spanning the media, entertainment and technology industry. The IBC Exhibition provides the perfect platform for you to network and build relationships with suppliers and customers, discover the latest trends and technologies and drive your innovations and strategy. This year IBC attracted more than 55,000 visitors and 1,700 exhibitors to Amsterdam. At the ATEN Booth visitors learned how to setup a modern-day conference room, how a control room and serverrack in an OB van is being installed, and how signal distribution in a live studio is setup. IFA (Internationale Funkausstellung) presents the latest products and innovations in the heart of Europe’s most important regional market. 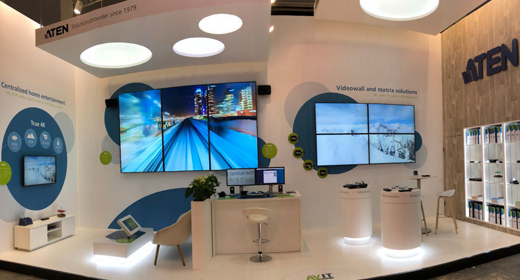 IFA is the main meeting place for key retailers, buyers, and experts from the industry and the media.This year, IFA attracted 245,000 visitors and more than 1,814 exhibitors to Berlin, where ATEN presented Pro AV & IT in your daily life. Visitors discovered how to centralize your home and office entertainment systems, but also smart KVM and docking tools to keep your desktop clean, and how to distribute AV signals over longer distances. 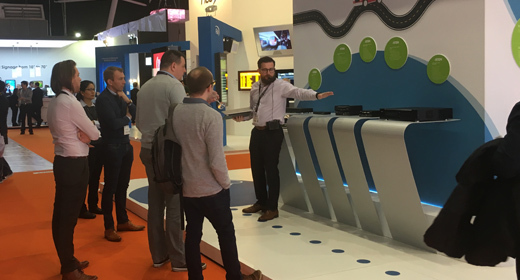 Integrated Systems Europe is the world’s largest exhibition for AV and systems integration professionals, a location where markets and people come together to collaborate, learn and do business. 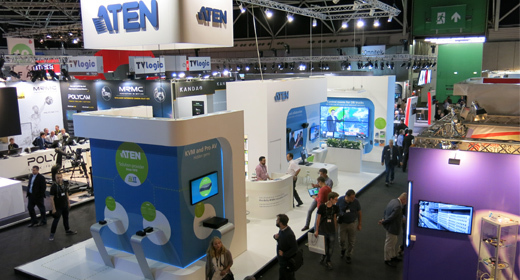 This year attracted 80,923 visitors and more than 1,200 exhibitors to Amsterdam, where ATEN presented Pro AV & IT in your daily life.